In the first few weeks of school, most Kindergarteners will need hands-on help with logging in (see our article “Logging in at the Beginning of Kindergarten” for tips). After those early weeks though, you should take the time to teach children to log in for themselves. You may not be able to teach all your children to log in, but it will help them (and you) to get as many as you can logging in independently. Here are a few tips that educators have used to teach children how to log in independently. Using a projector, model how to type a username and password. If logins contain upper- and lowercase letters, be sure to teach students how to type an uppercase letter. Teach students who are not yet readers to identify the “U” in Username and the “P” in Password to distinguish between the two. Give children plenty of chances to practice using a keyboard. To practice in the classroom, print out paper keyboards. Children can practice logging in on the paper keyboards and even place stickers on the keys they need to push. If you have old computers or keyboards, you can use those as a tool for keyboarding practice. Some teachers schedule time in the computer lab to provide practice using a keyboard and logging in. Create a Word document that has several blank spaces in which students can type their username and password. Have them practice typing their username and password into the Word document. Make a shortcut on the computer desktop that goes straight to the i-Ready login screen. 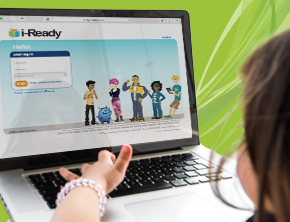 Then, print and laminate a screenshot of the i-Ready username and password information for each child. Encourage them to refer to this when they reach the login screen. Make a shortcut on the computer desktop that goes straight to the i-Ready login screen. 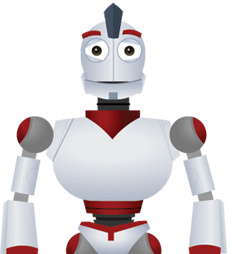 Give each child a copy of their username and password on an index card or an i-Ready login card. Place the card on a lanyard to wear around their neck. They can use this when they reach the login screen. Some children may have more experience with computers than others or may pick up logging in more quickly. Use those children as “computer experts” and pair them up with other children who still need practice. Encourage these experts to teach the children who are still struggling, rather than just log in for them. Since using a username and password can be challenging for our youngest learners, we provide an alternative login method to save time and simplify logging in. We call this the “K–1 Card” login. Once it’s enabled by the administrator who manages your i-Ready account, teachers use a button on their dashboard to print out and distribute K–1 Cards to each student in class. Contact your Account Manager or read the K–1 Login Overview for more information.